Iittala glassworks (Iittalan Lasitehdas Osakeyhtiö) was founded in 1881 in southern Finland, between Tampere and Riihimäki located close to a railway and a lake, and with access to wood to fuel the furnaces. 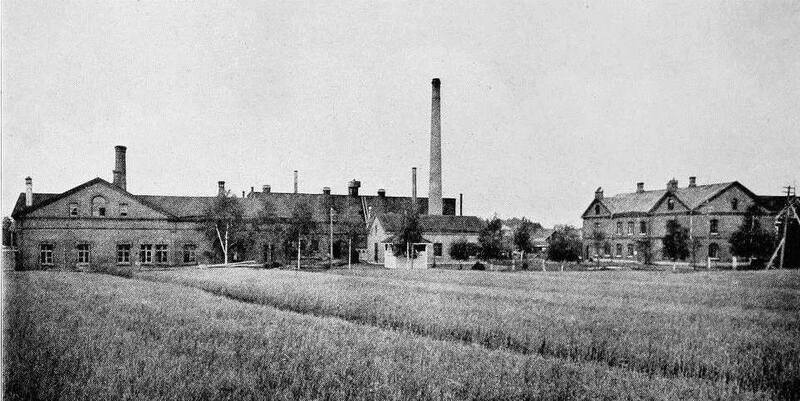 The Karhula Osakeyhtiö glassworks was founded a few years later around 1887-1889 in Karhula, east of Helsinki, quite close to the Russian border. The area also had a good location and natural resources: a navigable river flowing to the sea and a ready supply of timber for the furnaces from the forests in the area. The founder, Captain William Ruth, built up a local community (apartments, school, hospital and so on) around the glassworks and further industrial development that he brought to the area. 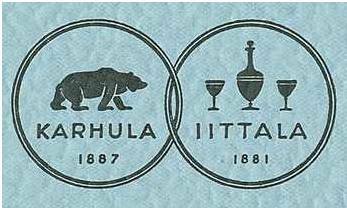 In 1915, Karhula was acquired by A. Ahlström, and he merged it with Iittala in 1917. In the early 1920s, a sales agency was set up and, over time, exported Karhula-Iittala glass all around the world. In 1995, the American company, Owens-Illinois bought Karhula, but amidst great local upset, the Karhula plant was closed in 2009. Iittala still operates today. Karhula made a surprisingly wide range of Carnival in the 1920s-30s in a variety of patterns and shapes, using older, existing moulds. 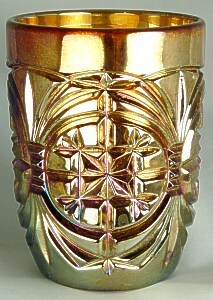 Nevertheless, very few examples are known today and Karhula’s Carnival Glass is undoubtedly hard to find. We can also date Iittala’s Carnival Glass output to the 1920s, and our study of their catalogues suggests that they too used existing moulds, possibly from a decade or two before their Carnival production. 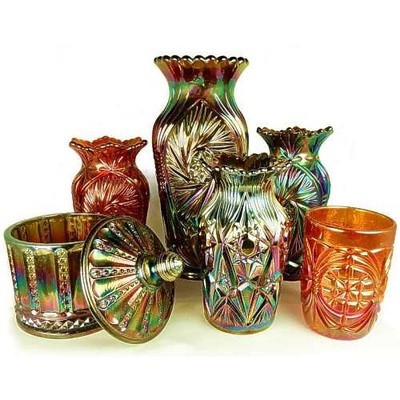 We have researched, studied, documented and photographed Carnival Glass from Karhula-Iittala over many years. 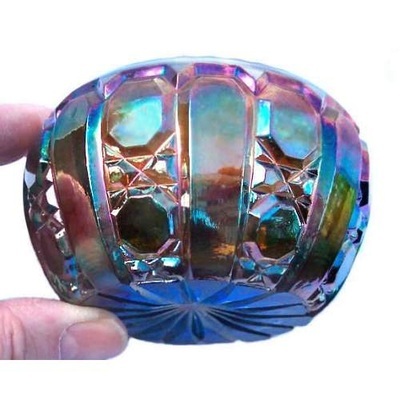 The result is an e-book that provides the most comprehensive coverage of their Carnival Glass, all in one easy-to-use e-book. Check it out, along with our other e-books and Carnival Glass publications. You can buy online with Paypal and download your "Carnival Glass from Karhula, Iittala, Høvik Glassverk" e-book, or have it mailed to you on a CD.